The "new" MacPro also features a quad core processor (that can be compared to the double dual core processors launched in 2006...) and up to a dual 6 cores processor... Apple proudly provides 2,5' adapters to fit up to 4 SSD drives in the 3,5 internal bays. Let's just hope the next OS system will support TRIM command (for SSD)... The "new" MacPros should be available in August. 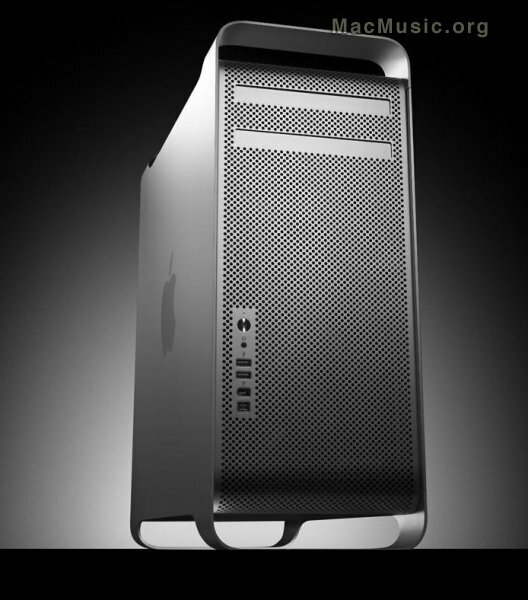 The cool thing is that MacPro's only costs 3 times more than the equivalent technology on PC. That makes us so happy to buy Mac Towers, doesn't it ?